All dogs need enrichment in their lives no matter how old they are. Enrichment activities include any exposure to interesting and novel experiences and things, mentally stimulating activities, and fun, enjoyable activities. Fortunately, there are many options to add more enrichment to the lives of senior dogs that don’t require much mobility. Take a breath of fresh air! Just enjoying the outdoors is stimulating to dogs. Smells are a stimulating factor for dogs. On a day with a light breeze dogs can smell what going on from across the neighborhood without having to walk very far. Be cautious to avoid extreme conditions like hot afternoons, uneven surfaces and slippery surfaces. Have a visitor! Dog or human, seeing friendly faces can brighten even a tough senior day. Nothing like a head scratch to help a dog feel better. Try to keep visits short a sweet and avoid rough play that could cause injury or pain. Interactive toys. There are many great toy choices out there! Find something that will challenge your dog. Puzzles are great because most do not require any mobility, just curiosity! For warmer months swimming is a good low-impact activity for our senior pets to enjoy. It’s hard to watch your dog age. 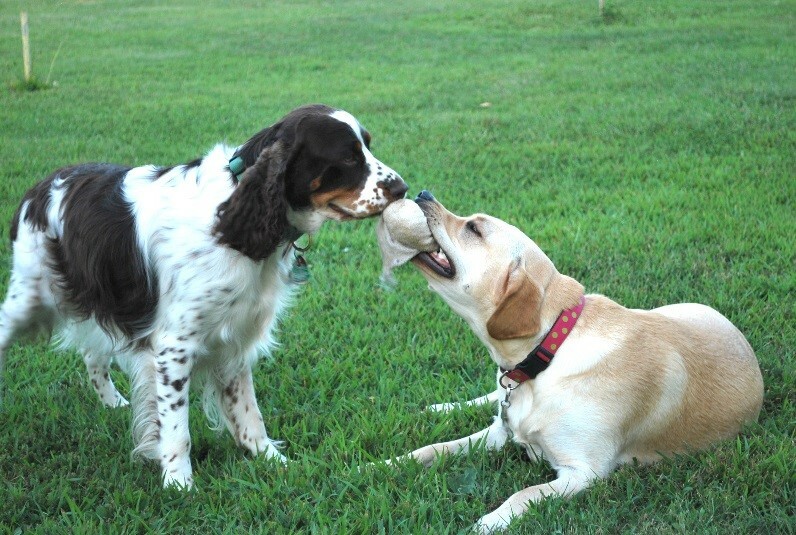 Providing some enrichment activities and low impact, safe exercises for them could get your dog’s tail wagging again! Contact the office for more enrichment activities or questions regarding where you could purchase some interactive toys.